I received this product in the new beauty test tube that i purchased online from qvc. The WEN ( which is NEW spelled backward) system was created with a perfect balance of herbs and natural ingredients to not only cleanse your scalp and hair, but to also moisturize, soothe, strengthen and add sheen. 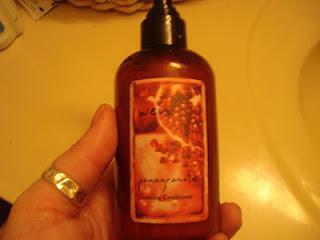 WEN is a single product that both cleanses and conditions without the use of damaging detergents found in some shampoos. Ideal for fine to medium hair, Sweet almond mint hydrates and replenishes. Lavender moisturizes dry, dehydrated or wavy to curly hair while the cucumber aloe is perfect for dry, fine to medium textured hair, with oily scalps. Looking for a wheat free option, then try the pomegranate that is made with soy protein. They also have tea trea and fig. How to use: Rinse your hair thoroughly and then work the product through hair from crown to the ends. leave in3 to 5 minutes and rinse thoroughly. My thoughts: I Loved how this smelled when i was using this. I did clean good, but i dont like the fact that you have so much just to wash your hair.